This is Srikanth from Hyderabad, in these tutorials i'm going to explain How to Send Account Activation Link to User E-Mail After Registration Done in ASP.NET using C# Programming. In previous article I explained How to Send Bulk Emails by Using Gmail Account. 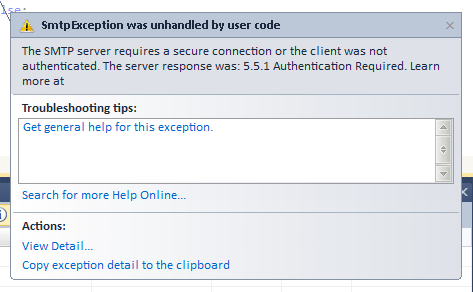 Now i show How to Send User Confirmation Email after Registration in ASP.NET by using C# Coding and Resolve a SMTP Server Secure Connection and Authentication 5.5.1 Required Error | The SMTP Server Requires a Secure Connection or the Client was not authenticated. 9 Komentar untuk "How to Send user Confirmation email after Registration in ASP.Net csharp coding"
no..its working now...but how can I add a link for my login page in email body?